Every surfer dreams of riding the waves in exotic locations like the Maldives, Hawaii, Indonesia, Peru, and Australia. 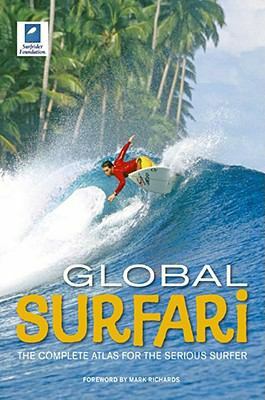 Global Surfari: The Complete Atlas for the Serious Surfer provides comprehensive information about favorite, legendary, and little-known spots, including surf conditions and other essential details. In-depth surf data is accompanied by exhaustive maps and diagrams to show surfers how to get there and what to expect when they arrive. Traversing the planet in search of lefts, rights, reefs, and point breaks, Global Surfari caters to all ages and skill levels. Explores the major surf destinations-and the best-kept secrets-throughout the world Stunning photos of the breaks and locations inspire readers to travel to new places Arranged geographically by continent, country, and region Plastic cover resists damage from wet handsSurfrider Foundation Staff is the author of 'Global Surfari' with ISBN 9780762431854 and ISBN 0762431857.